Maximizing resources is an overarching principle in business management. Managers get excited, and justifiably so, when they can add a little revenue here and cut an expense or two there. Implicit in this endeavor is the wise and efficient use of human capital, including your own time. One way many successful people accomplish tasks and save time is through the use of checklists. Some people are even passionate (yes!) about checklists! In fact, you probably know someone who is a little bit excessive about it. Plenty of people will even admit that they add super easy tasks to the list (get a cup of coffee – check), or add things they’ve actually already completed, just to have the pleasure of marking them off! But don’t worry – here at ContractSafe, we don’t judge. 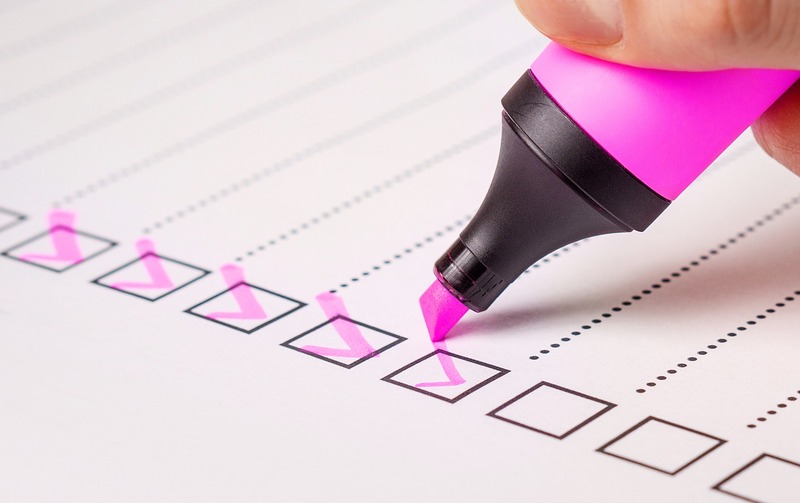 In fact, we’re here to help out once again by giving you a little checklist of our own – your contract risk management checklist. Risk can be defined in lots of ways, but essentially boils down to anything that harms the company or depletes its assets. Some risks are legal in nature, such as who is liable under a contract. Other risks are more general, such as the harm to a business relationship created by a poor process. Business leaders understand that reasonable risks must be taken to achieve success. However, managers also recognize that it is imperative to identify risks and assess them in advance so that any acceptance of risk can be made knowingly and managed as well as possible. Risk management has become increasingly important in companies in recent years, with dedicated managers and plans. Now "Resilience" is also being talked about. “Risk management” is the plan a company develops to manage risks. In some instances, risk can be totally eliminated. In other cases, it can only be limited. The contracting process is fraught with both types of risk and planning for both is what builds resilience. The contracting process includes the negotiation and execution of a contract, as well as performance under the contract. With advances in technology, including innovations such as word processing and email (now considered rather pedestrian), the usage of written contracts in business has proliferated. These contracts can include a wide host of business relationships, such as vendor contracts, commercial leases, contractor or subcontractor agreements, real estate contracts, employment agreements, and sales agreements. A single company can have hundreds or even thousands of active contracts at any given time. Thus, there is risk in both (1) the negotiation of and performance under the contract, and (2) the actual management of all of the company’s contracts after they are signed. Entire books have been written on how to manage risk. But since we know you don’t want to read such a book at the moment, we’ll make your life easier and provide some highlights in our list! Get it in writing. Insist on written contracts. That way, you don’t have to argue later about verbal agreements and don’t risk offending the Statute of Frauds. Make sure the company has a clear policy on who can sign contracts. Give your attorney some love. We know lawyers complain about a lot of boring things, but they can also save your hide. Don’t sign a contract until the legal team looks it over. We understand that the company’s policy may allow simple contracts (such as forms) to be signed without further review. Just make sure nothing unusual has been added, such as liability shifting provisions. Also, consider handwritten changes by the other party to be dangerous unless first reviewed. Treat contract negotiation with a win-win attitude. Using hard negotiation tactics on someone who is going to be a business partner may not be the best for the business relationship. Adopt automated contract management software to manage contracts post-execution. Research demonstrates that automation increases revenue, decreases expenses, and - if you ask us - makes life super easy. Digitize all contracts and store them in a centralized repository. This eliminates the risk that contracts get lost or damaged. It also provides keyword searching capability by allowing the entire repository to be searched instantaneously with Google-type word searches. This limits the risk of overlooking something or not finding what you need while trying to read through long contracts (and possibly many contracts). Take advantage of cloud technology. This allows contracts to be accessed from anywhere with any device that has an internet connection. Ensure that digitized contracts, documents, and other data are protected by state-of-the-art security. Use special permissions to grant specific people access to particular contracts. This allows timely access which improves business relations. It also limits the risk of improper destruction and protects information from improper disclosure. These permissions should be customizable to suit the needs of a particular user. Track important dates with contract management software and receive automatic reminders and notifications concerning all important contract dates. This eliminates the risk of missing crucial dates, such as compliance dates, payment dates, renewal dates, termination dates, and deadlines. Do not choose a product that is complicated and difficult to use. Contract management software should be easy to implement, easy to understand, and easy to use. This leads to buy-in from everyone. Hard or complex products don’t get widely used, which increases risk dramatically. And so ends today’s risk management checklist. But you’re really going to like this – you can check off numbers 5 through 11 just by using ContractSafe contract management software. Contract risk management has never been easier. And it gets even better than that – you can try it for free! Start your free trial today.